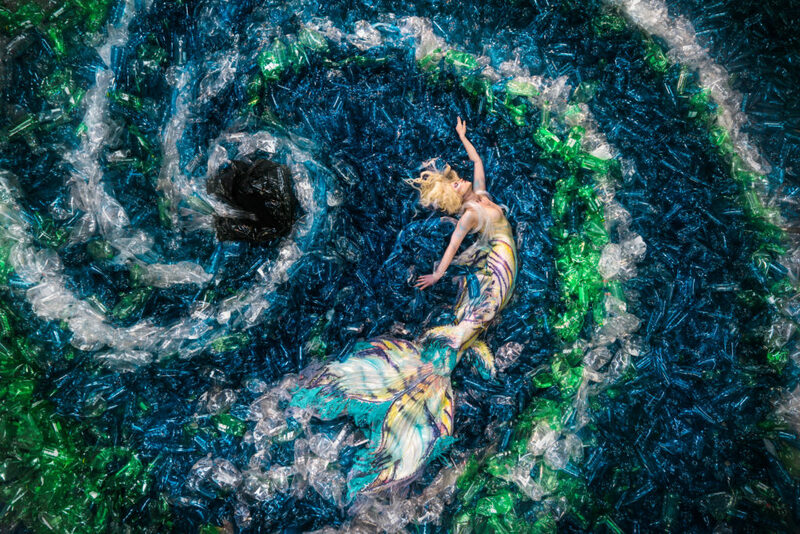 Mermaids Hate Plastic | OVER 40 MILLION VIEWS from Go In Motion on Vimeo. Rachel Carson did it in 1962. Richard Misrach did it in the 1980s with his Salton Sea series. Seattle-based Chris Jordan has been doing it since the early 2000s. Claude Monet has even been referred to as an environmental artist in his portrayals of human-nature relationships. Many artists have historically brought attention to environmental, social and political issues through their chosen media, while simultaneously inspiring audiences to make changes in their own lives, and 30-year-old Canadian photographer and visual artist Benjamin Von Wong is no exception. Five years ago, Von Wong left a mining engineering career to pick up a camera and pursue his passion. 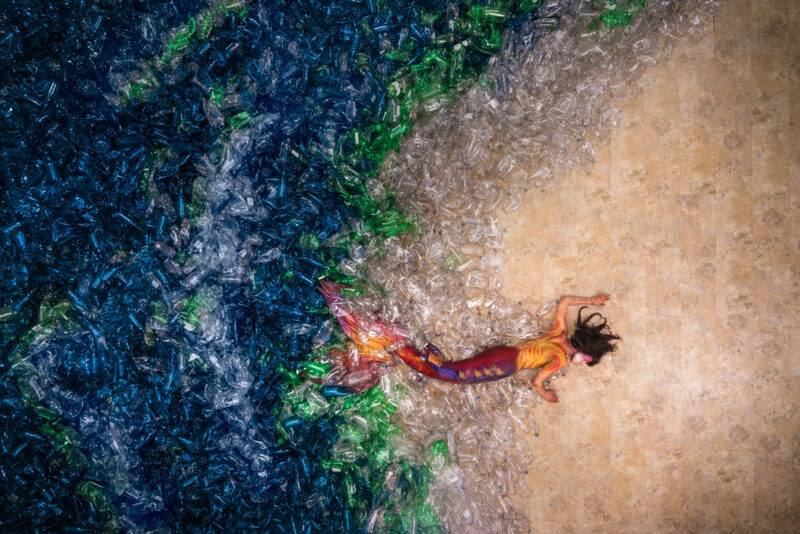 His latest photography project, “Mermaids Hate Plastic”, features a human mermaid drowning in a sea of 10,000 plastic bottles – the estimated number used and discarded by the average person over a 60-year span. 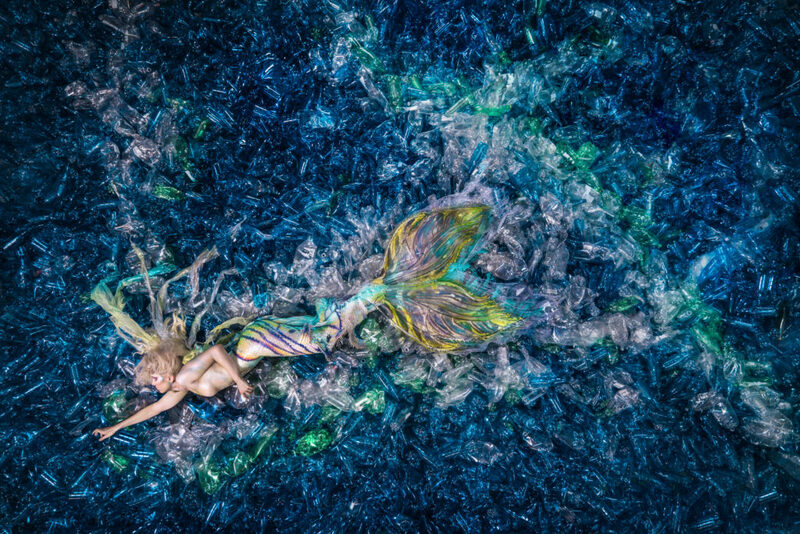 The plastic bottles were configured by volunteers to create distinct water-related scenes, including a sandy beach, a typhoon and a water drop, with the mermaid strategically placed within the environment of inescapable plastic waste. Von Wong explains that: ìIt takes approximately 450 years for a single plastic bottle to degrade, and if we do nothing, by 2050 – there will be more plastics than fish in the sea. Von Wong believes, “Change happens when individuals come together to fight for something they believe in.” And the shoot, which took place in donated warehouse space over a week, undoubtedly called for all hands on deck. First, Von Wong needed large quantities of plastic bottles, which were loaned and delivered by a waste management centre. Next, an army of volunteers-including friends, family, and strangers recruited via social media-was enlisted to wash, un-cap, and remove labels. 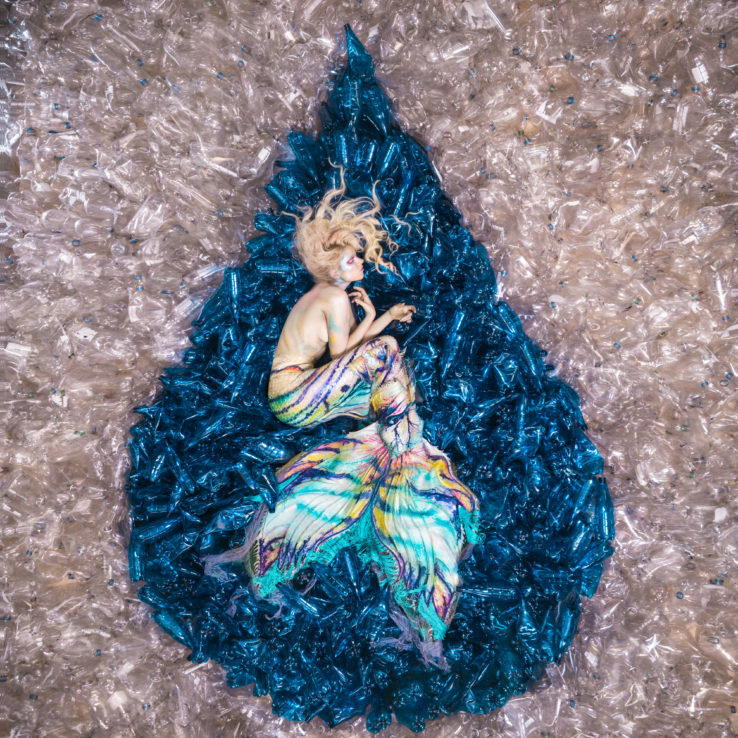 Clara Cloutier channelled her innermost mermaid in a high-fashion tail designed for the project by Cynthia Brault, while countless others donated time and talents to camera work, bottle layouts, and hair and makeup. A series of vibrant ocean-hued photographs that are equal parts surreal, magical and haunting-and worthy of any environmentalist’s wall. 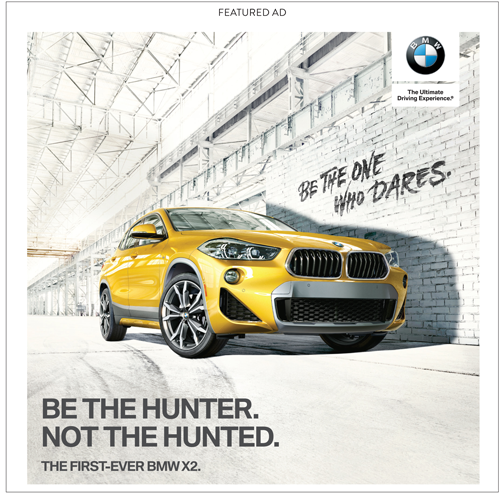 Since being published in December 2016, the photographs have gone viral and reached tens of millions of views. Von Wong offers advice to reduce a reliance on plastic. He encourages viewers to replace disposable bottles with reusable ones and to commit to contemplating whether or not to accept “the next piece of plastic that is offered to you”, whether that is a plastic bag, a straw or a plastic water bottle in your Uber ride. Explore Benjamin Von Wong’s work and upcoming projects on his website at vonwong.com.